The Village of Downers Grove has won a national Savvy Award for the Stormwater YOUtility community engagement campaign. 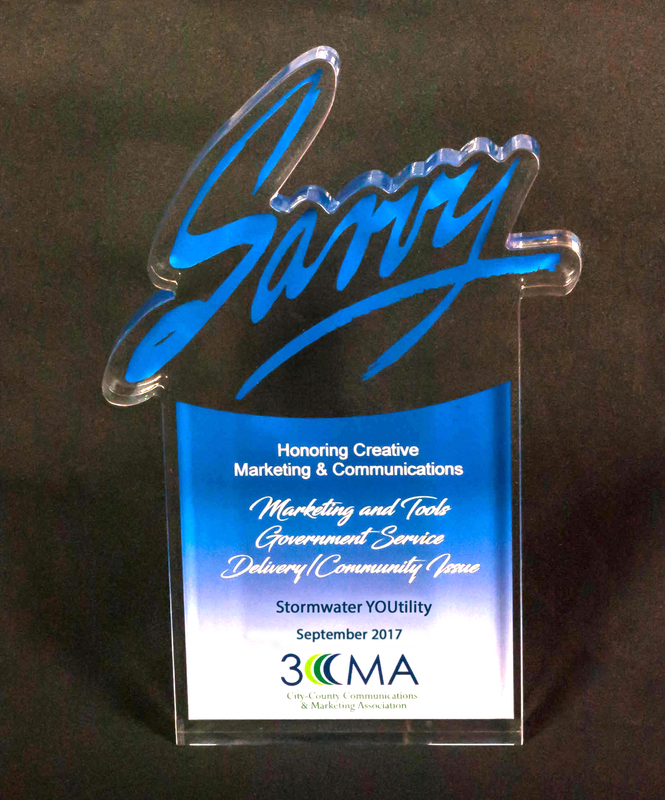 At their 2017 Annual Conference, the City-County Communications & Marketing Association (3CMA) announced the award which recognizes outstanding local government achievements in communications, public-sector marketing and citizen-government relationships. "It can be difficult to make people care about utilities, even when their wallets will be impacted, but this campaign, especially the calculator, cleverly embraced the difficulty and successfully made people care." "Wow, great job making a difficult topic relatable and interesting!" "Good idea to do video answers to questions." The campaign utilized multiple communications platforms including short videos, social media, the Village website, DGTV, and print advertisements to raise awareness about the 2016 Stormwater Utility Referendum. There was even a fully interactive map that provided comparisons between stormwater utility fees and property taxes for each property within the Village. Congratulations to all who worked on this successful community engagement project.